When I’m developing new patterns I make sure we have each style tested by a wide range of testers. I want to make sure each pattern is sewn by people who are both new to sewing and more experienced. And I make sure that we have people sew and test the whole range of sizes for each pattern. This helps to make sure that my sewing instructions are clear and that the grading of the pattern is correct. 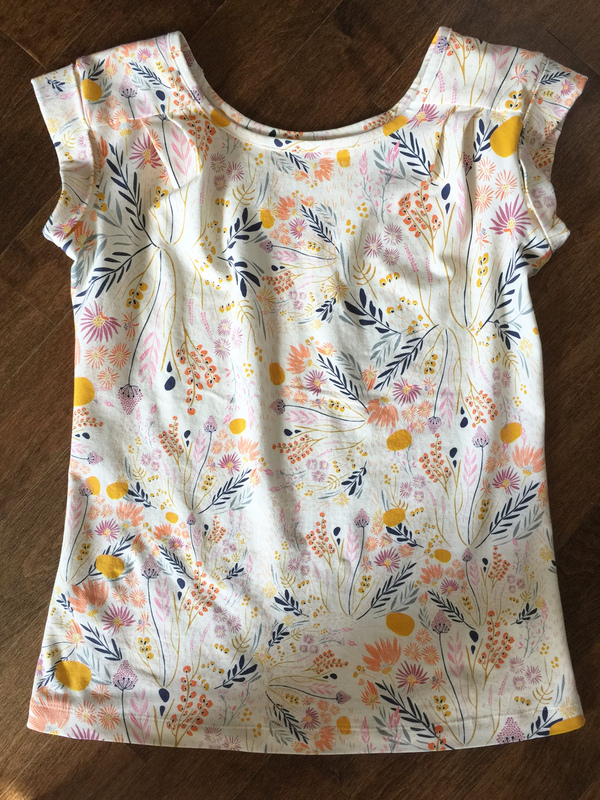 While I absolutely don’t require that our testers have photography skills (I ask them to sew the pattern, answer a detailed questionnaire, and then send a few photos to me so I can look at the sizing), I know it helps you to see the patterns on a wide range of bodies and in a variety of fabrics. So I asked our testers if I could share some of their photos, and many of them agreed. Thank you, testers! Here they are, to help you picture the new patterns in different fabrics and on different people. 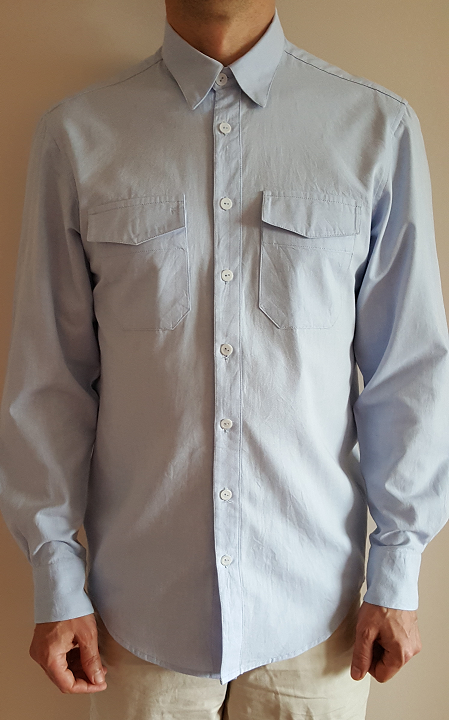 The men’s All Day Shirt received positive reviews from all the testers. 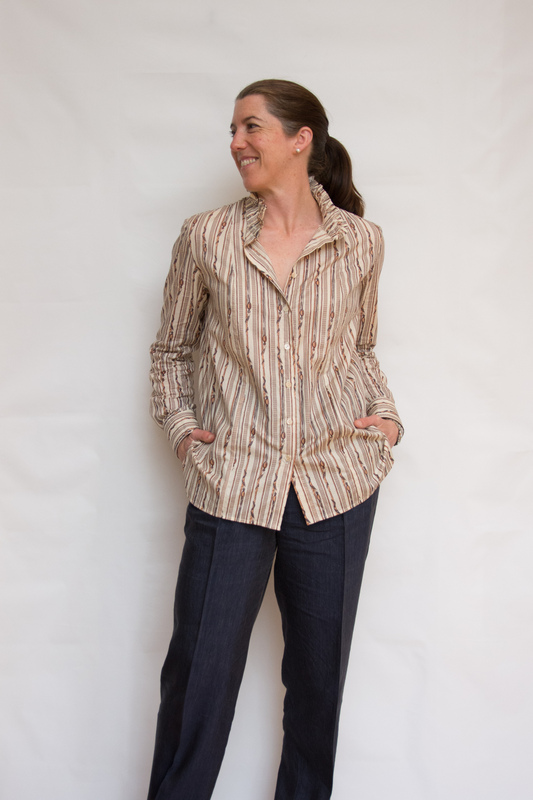 This pattern is designed to function for both casual and dressy use. 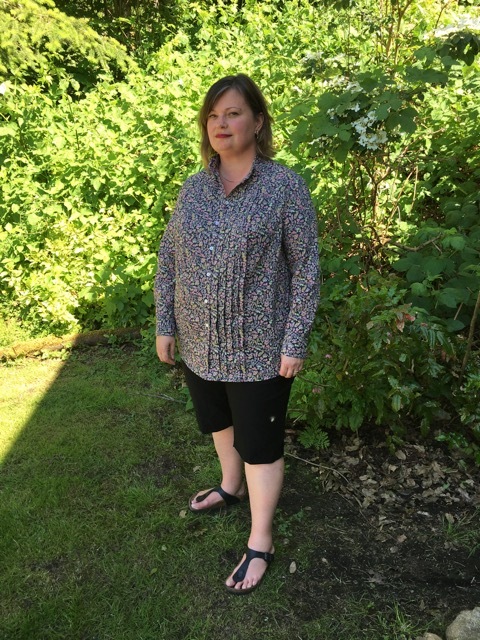 Our testers did a great job of demonstrating lots of ways it can be worn, in a wide variety of fabrics. Janice’s turned out great too, didn’t it? She chose these fantastic dots for her husband. 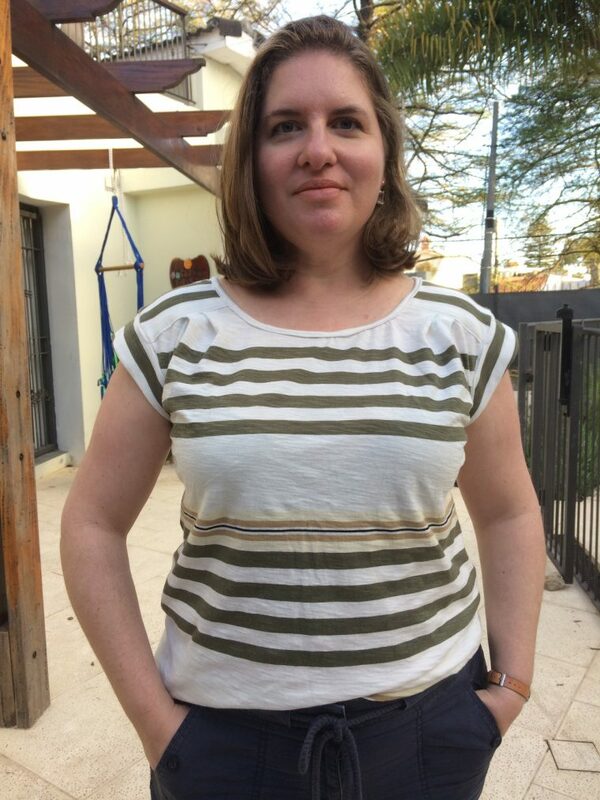 Sarah sewed for her son, who is tall and thin, and this helped me to see how the pattern works on the smaller end of our size spectrum. She’s going to go up a size next time, and maybe lengthen the sleeves a bit. 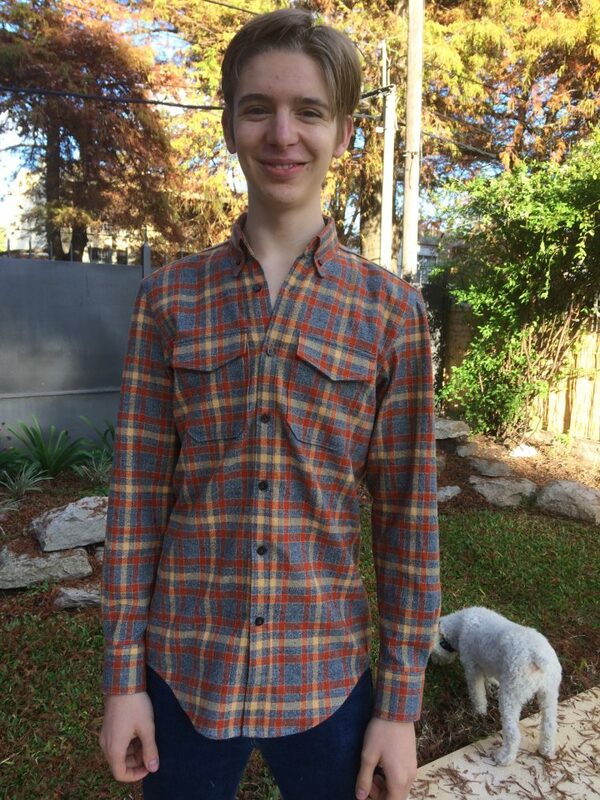 Check out that impressive plaid matching! She said her son loves the shirt. 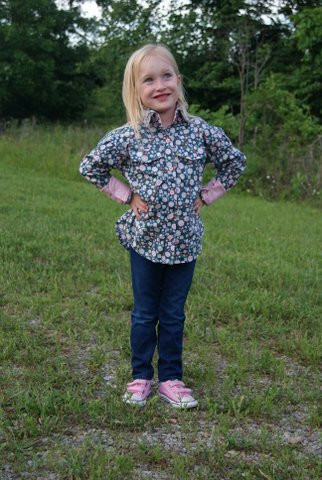 It was great to see that our testers sewed the Buttoned-Up Button-Down Shirt for both boys and girls. 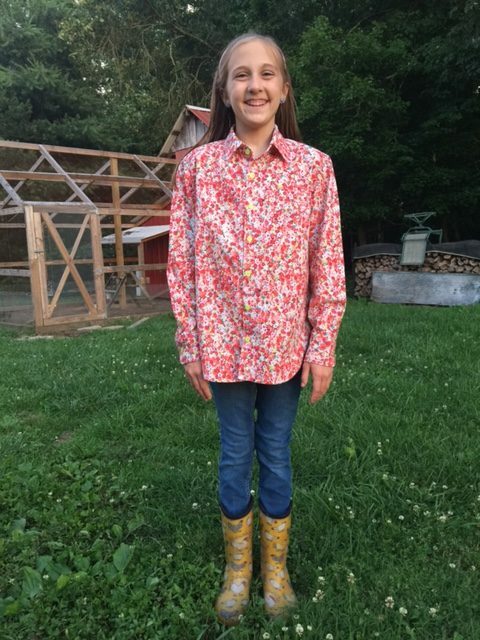 Beth sewed a size 4 for her daughter. How cute it is in this floral fabric? 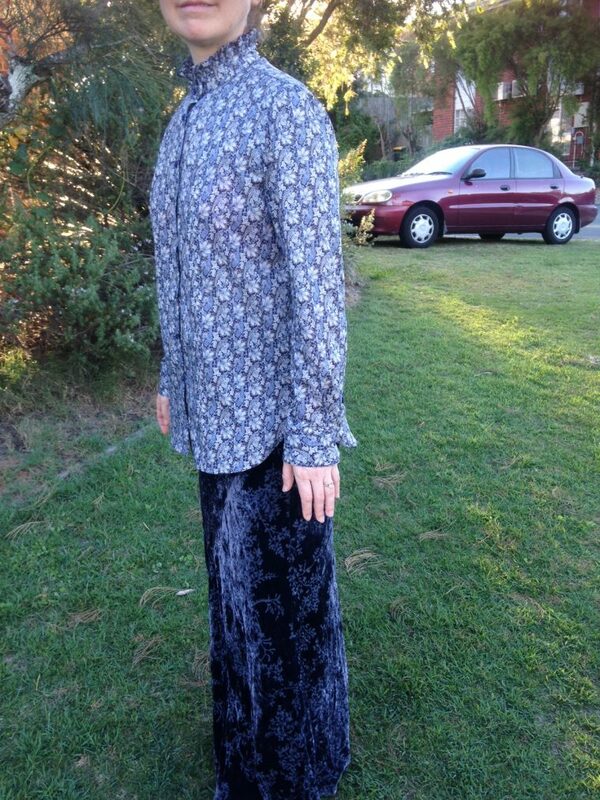 Carrie, meanwhile, sewed a size 10. We haven’t discussed it, but I think she could have sewn a size 8, given her daughter’s measurements. 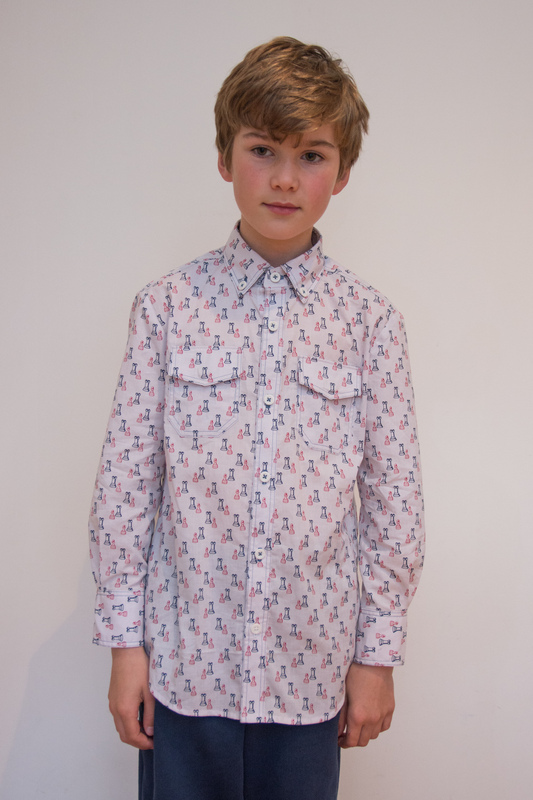 There is quite a bit of ease in this pattern, so if your child measures between sizes you might want to choose the smaller size, depending on their preferences. Erica’s daughter was also between a size 8 and 10. This is the size 10. 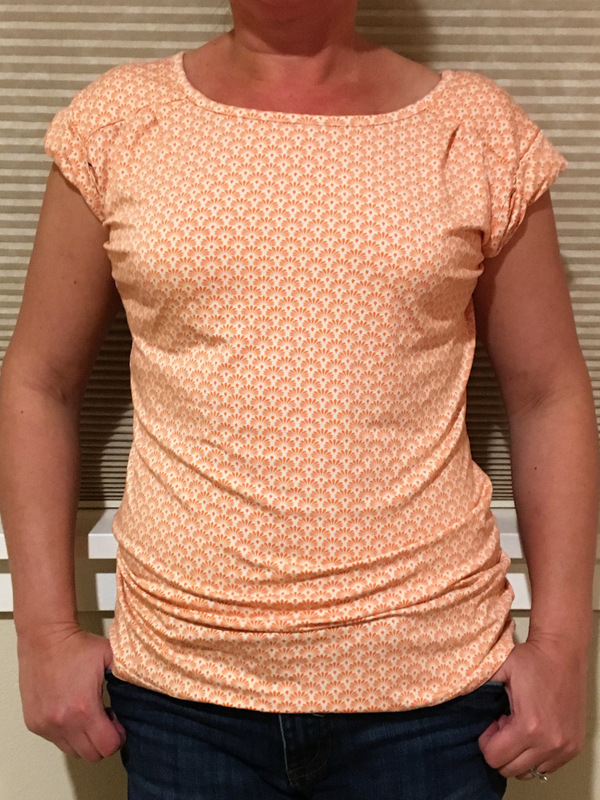 Kirsty sewed the size 4, and I love this fabric! 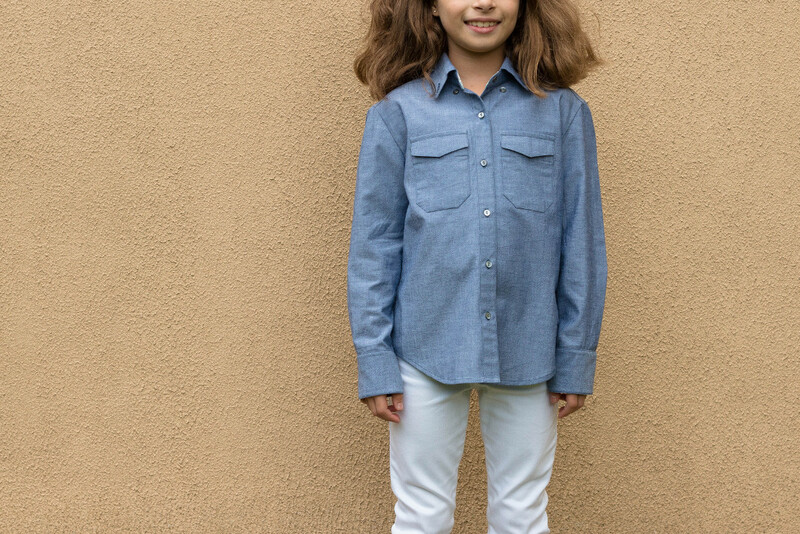 Maria made this darling denim shirt for her daughter, size 6. 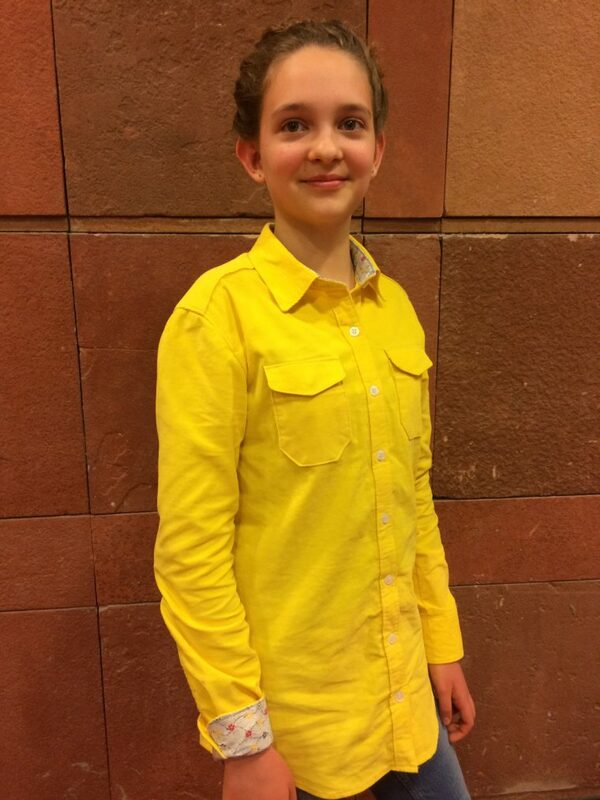 Check out the contrast collar and cuff facings on Sarah’s bright yellow shirt! So cute. 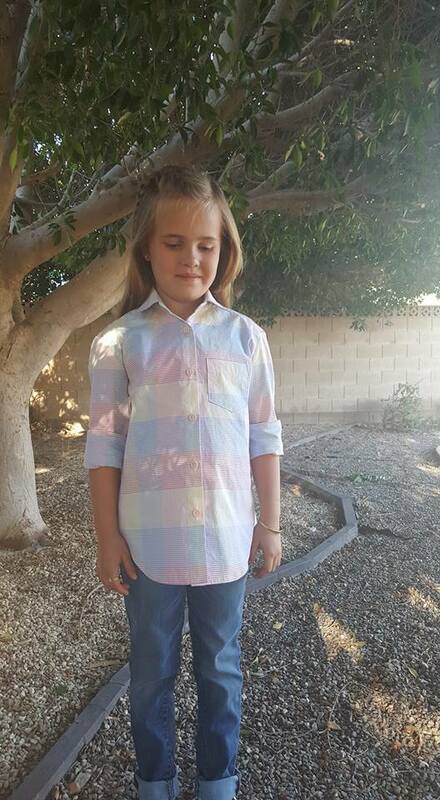 Sarah K. sewed a size 5 but said she usually sews her daughter a size 4, which she’ll do next time. 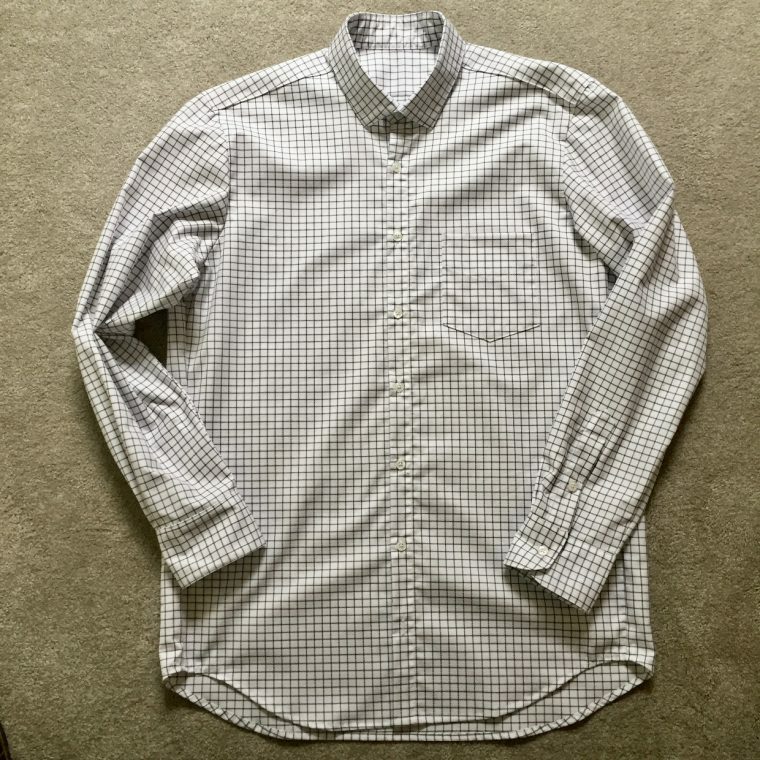 Shelley sewed a size 8 for her son. And Shrine also sewed a size 8. 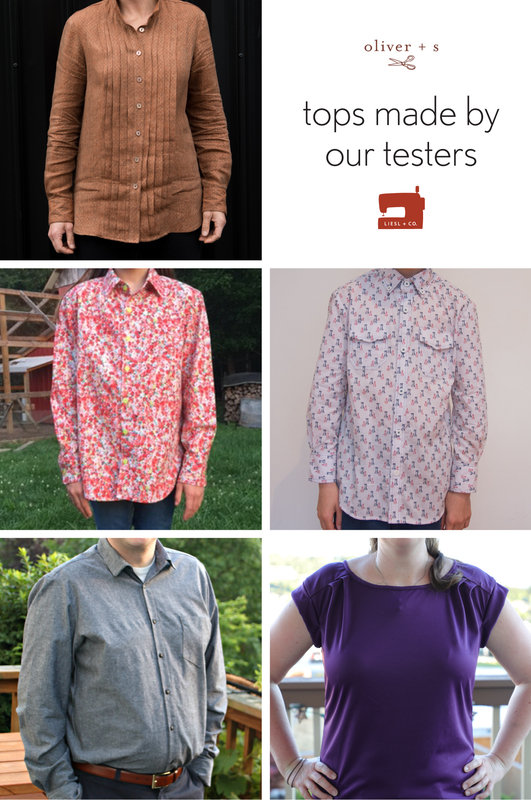 So many of our testers tackled fabrics where they needed to pattern match, and they really did a fantastic job of it, didn’t they? 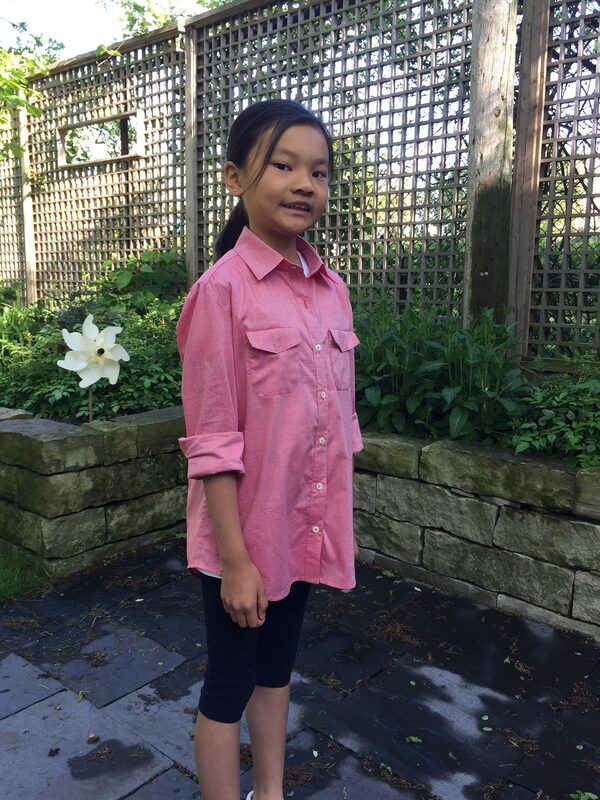 It was exciting to see how each of our testers sewed the women’s Recital Shirt differently. 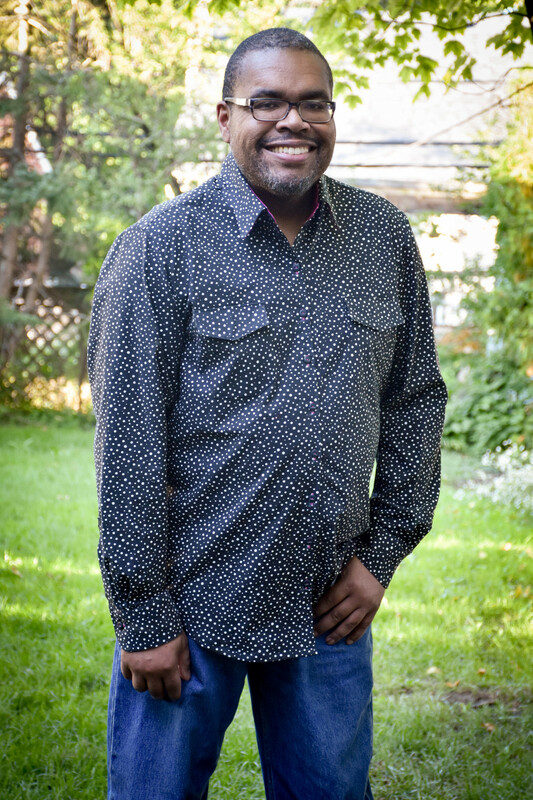 You can probably tell from these photos how much creative opportunity this pattern offers, especially if you mix and match the pieces with our Classic Shirt pattern! Jen chose a floral cotton lawn for her View B, and I love how the pleats look with the floral! Also, note the solid cuff facings–very chic. Kirsty used a beautiful Japanese lawn for her View A of the shirt. 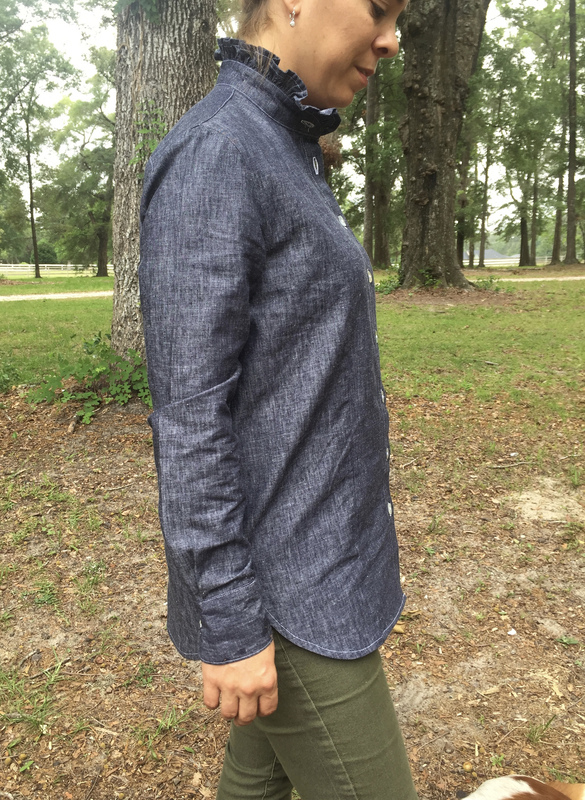 I adore Mary Claire’s linen/cotton chambray for View A. So chic! My dear friend Robin tests for me almost every season. I just love how her View B turned out. 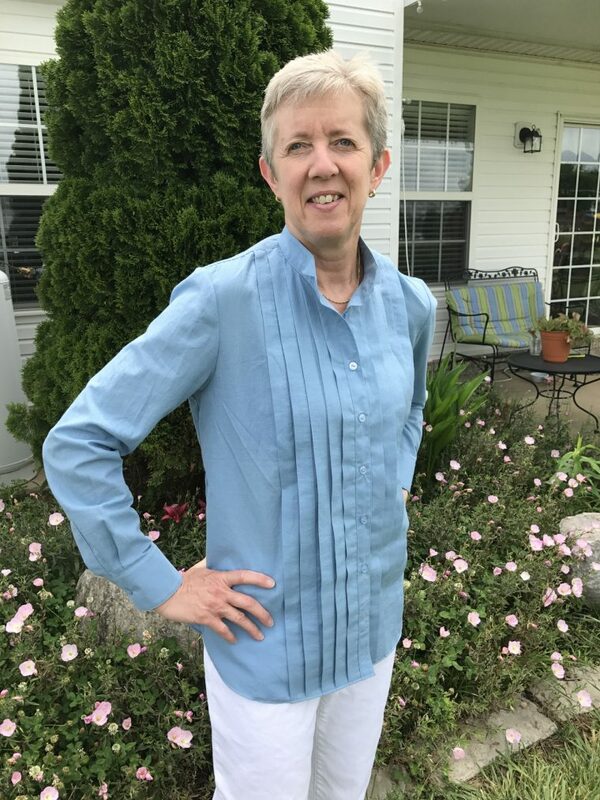 Robin used Liberty lawn, and I love how it works with the pleats! Shelley did her thing and sewed both versions of the pattern. She always does a lovely job. I especially like her version of View B, but check out how cool the stripes look in View A near the shoulder! And Vicky chose a really sweet, modern-feeling print from Art Gallery for her View A. I just love it because it feels both modern and classic. On to the Chai Tee, which was definitely a favorite with our testers. Erica chose a printed knit from Art Gallery for hers. I think it’s so cute! 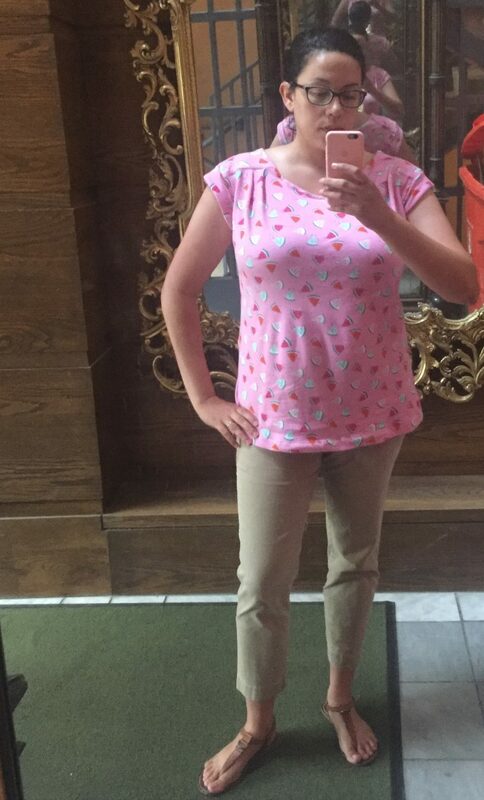 I don’t know where Jamie found this darling fabric, but it certainly makes an adorable top. Jeanne does a lot of testing for us, and I always love her style. She said she’s sewn it with a few different fabrics now, but this one is so pretty! Jen said she used a viscose spandex knit and was really happy with the drapey results. 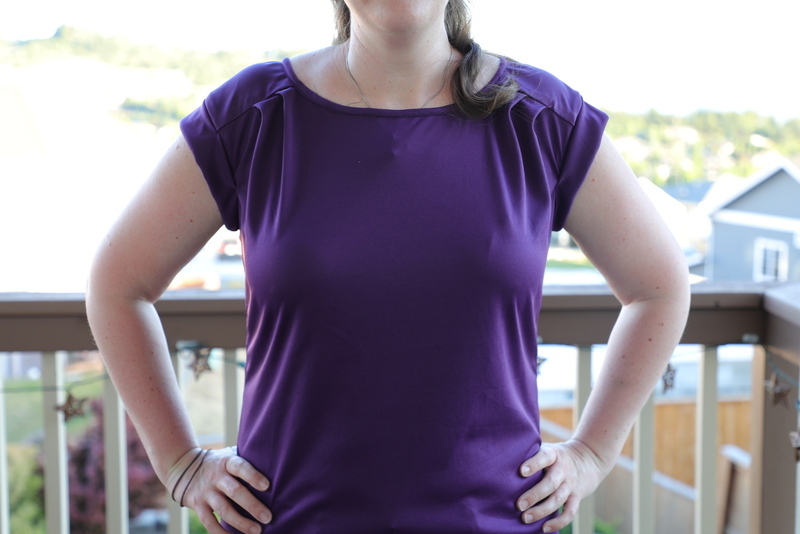 Sarah sewed a couple of tees to adjust the sizing for her preferences. She looks great, doesn’t she? 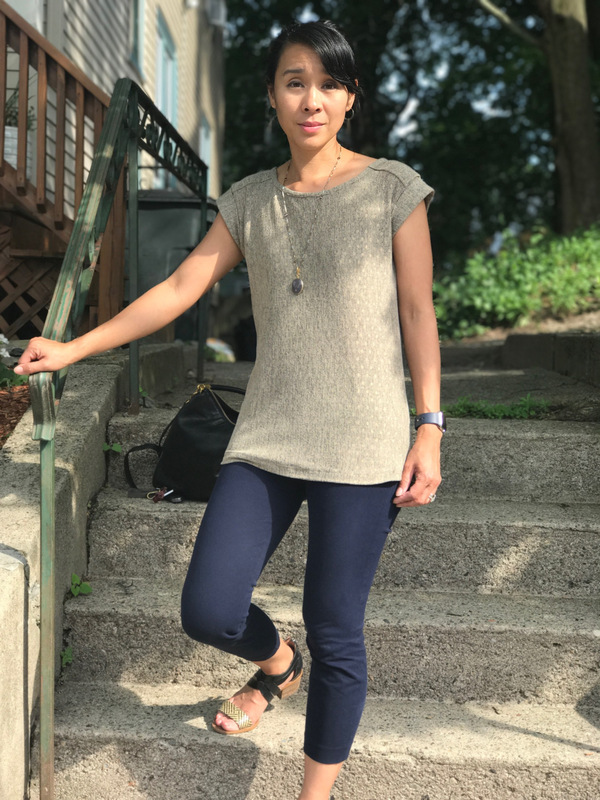 Sarah K said she chose a drapey knit for hers. Stephanie sewed this really cute version, too. The prints feels a little blue-print-y to me, which I love. So, again, a big thank you to our testers! I hope these photos will help you to think about how the new patterns will work for you. I can’t wait to see what you make! Love seeing all the different ideas and interpretations of these patterns. Everyone did a fantastic job! I think so too, Allison. Thanks again. These patterns are so gorgeous! It is really helpful for me to see them on different sizes! Thank you and congrats! I’m glad you think so, Emily! Thanks for commenting. I really like these kinds of posts! Seeing different fabrics on different bodies really helps me get a sense of how I’ll like a pattern. 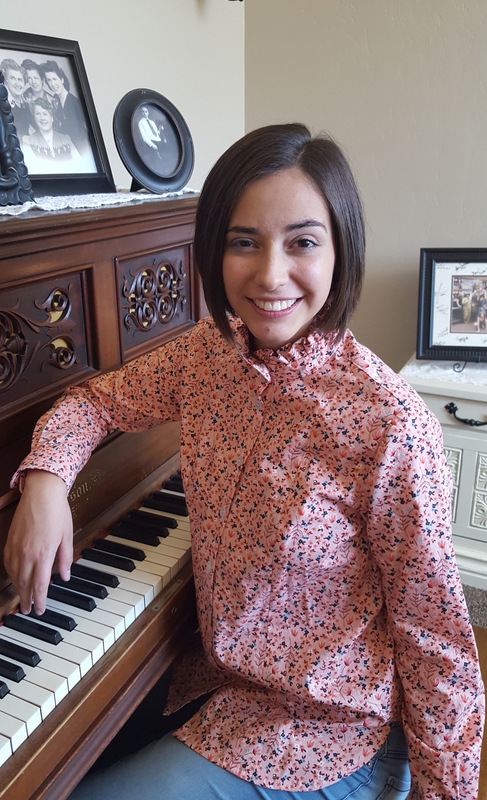 For example, I wasn’t sold on the tuxedo pleats of the recital shirt based on just the pattern, but seeing so many of the gorgeous versions sewn here has changed my mind! I’m glad this helps, Enbee! Thanks for letting us know. Yay!! I love seeing all the different versions. 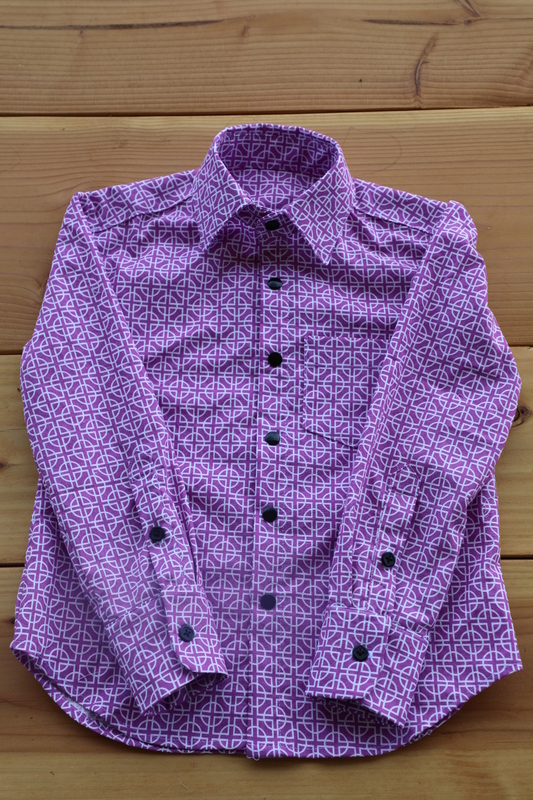 The girls in their Buttoned Up Button Downs are inspiring me to tackle this pattern for Maggie one of these days. I’ve loved seeing all these versions, and yes, all the husbands! Some really inspiring sewing and that little button down collar is too cute. Thank you for this post! 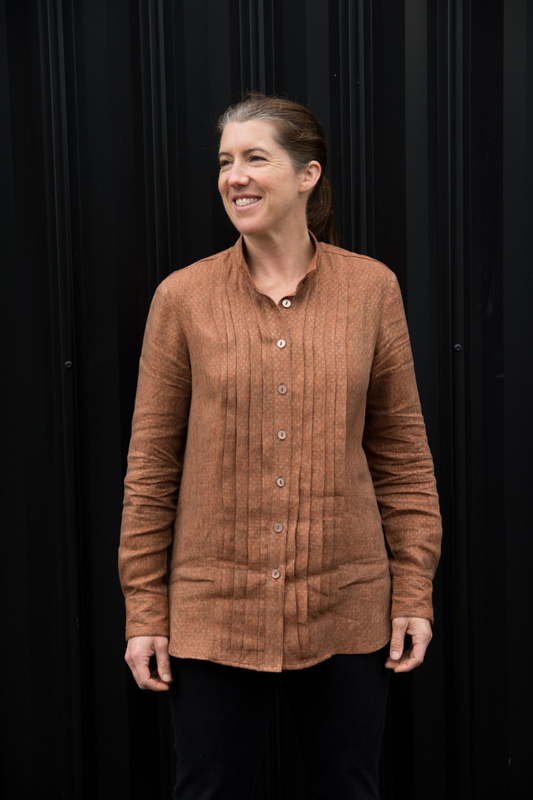 I opened it to see different versions of the Buttoned Up shirt, but now I also really want to make the Chai tee. The Art Gallery and solid purple versions sold me on it immediately. This is so very helpful! I can now see that yes, the Chai tee could work for my body type & size. Great to see all these different versions–hope you’ll share pattern tester pics for all the new patterns! Lovely patterns, Liesl. 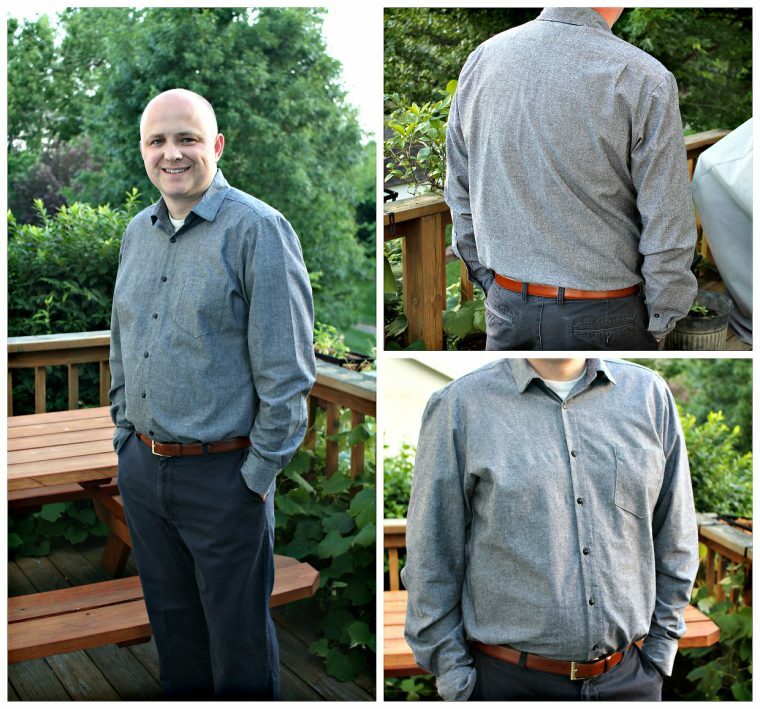 Really like the tuxedo shirt (tucks & pleats always dress up a top to me), and the tee is terrific. 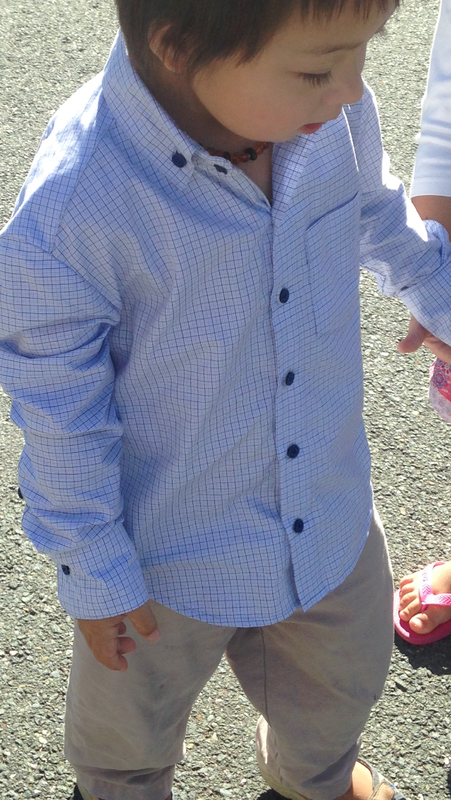 The button-up is also nice. In the 70s I made a few button-up shirts for my husband (elongating the sleeves). Of course those had the wide collars popular during that time. I love seeing these on so many sizes and body types. Super helpful! More reinforcement for you to show new patterns on different body types and sizes – thank you! I’ve never been interested in sewing t-shirts at all, but the Chai Tee is causing me to rethink that. Another round of applause for the modelling husbands from this corner of the interwebs. 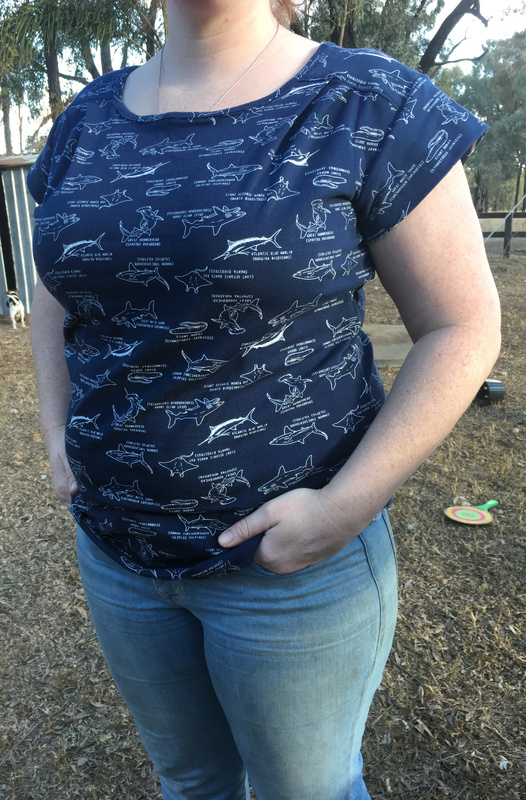 I would have forgone ALL sleep to test the All Day Shirt as well, but instead we’re waiting (im)patiently for the post to bring my paper pattern. I’ve been searching for non floral Hawaiian type prints for months knowing that shirt was in the works! Can’t wait. It’s really helpful to see how they look in different sizes and prints. I was curious how the chai tee looks in a print (adorable!). Thanks so much for sharing the additional photos! Janice, I’ve got to say your husband looks great in his shirt! I love that print. And is that a cool pop of purple I’m picking up at the collar? 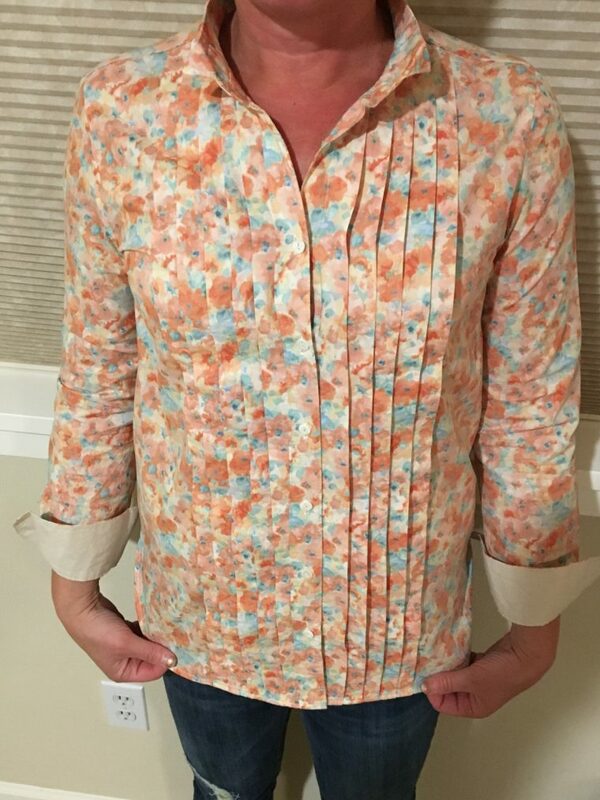 If only I had someone in my life who could sew me a great shirt like his…. Wow, what a testament to how and why your patterns are so reliably awesome. That’s some seriously rigorous testing there!! Wow this is so helpful! I loved seeing the different models. It’s so helpful to see a garment on different people. I find that pattern pics tend to be on people who are smaller chested, which I am not! How nice to see some fuller chested women wearing these garments. It gives me confidence that I can make a pattern work for me. Also great to see the various men wearing the shirts! Keep up this feature – I LOVE it!